Mon Bel Ami Wedding Chapel offers three distinctly original wedding venues as well as a conveniently situated reception hall on location. 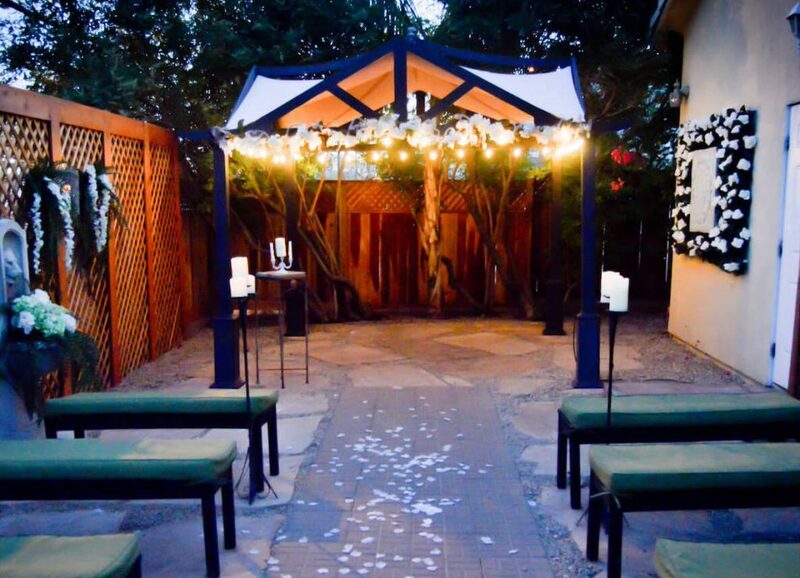 With each setting providing unique and elegant options for a memorable ceremony, we have something for everyone. Consistently voted “Most Beautiful” and “Best Value” wedding chapel in Las Vegas, we pride ourselves on offering the very best for much, much less. Take a look below to find out more. 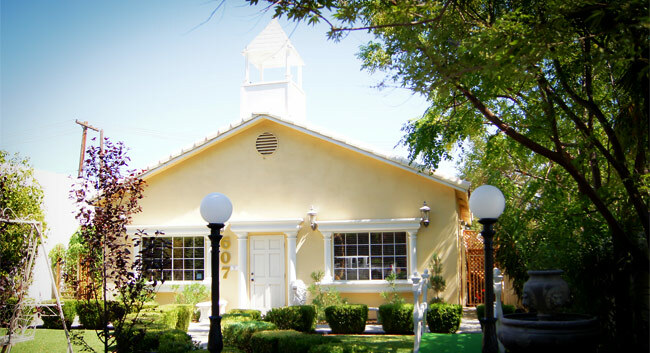 First our most popular wedding venue, for the more tradition-style Las Vegas weddings, the world famous Mon Bel Ami Wedding Chapel. Elegantly adorned with french provincial decor, our indoor chapel can easily accommodate up 40 seated guests. Next, our classic gazebo setting. Perfect anytime of day, but especially beautiful when it is lit up at night. This venue can seat up to 18 which lends to its more intimate feel. Definitely a favorite among brides and grooms. Our most recently installed ceremony setting is our brand new Le Pavilion outdoor wedding area. Staying in line with the french theme, this more modern setting is perfect for chic couples who are looking for an elegant outdoor wedding in Las Vegas. 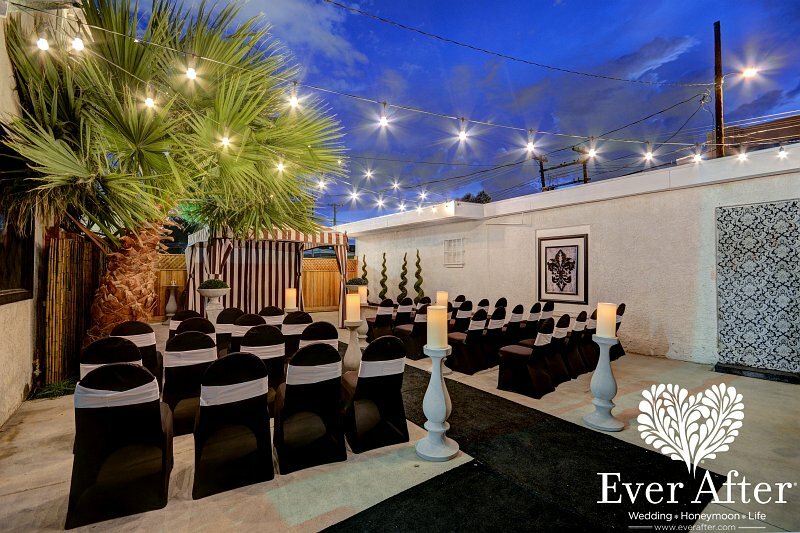 Our reception venue is Las Vegas’ most affordable private wedding reception. With mini-reception packages starting at $399 or our lavish all inclusive wedding and reception Extravagance, Château Bel Ami is also on-site at our wedding chapel. Got married here in 2012! It was wonderful, not rushed and the people were wonderful. Super easy to arrange before our trip to Las Vegas. I've recommended this place to lots of friends. It didn't feel like a cheap little vegas chapel either. It was perfect!!! !